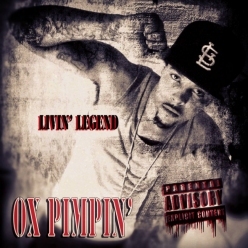 Ox attempts to solidify his name with his 4th & best mixtape "Livin Legend". Produced and mixed by himself and Rosegold. With collabs from 106&park freestyle champion contender and local battle emcee Grim Guliani, along with collaboration of the year nominated song "Side Of The Road" featuring Yak Boy. This album is ...we'll... Legendary. Nothing fake or forced when you hear pimpin. This mixtape is currently nominated "Mixtape of the Year". If you haven't got it yet, get it here for free!